Addiction and alcoholism, depression, and obesity are some diseases that can be more difficult when filing Social Security Disability Insurance (SSDI) claims. While obesity itself is not enough to qualify for SSDI benefits, individuals who suffer from obesity and related health consequences, including diabetes, may qualify. In recent European case, courts asked the same question–is obesity a disability? A Danish man was fired from his job because he was too overweight. He filed a discrimination case, which was heard before the European Court of Justice. In the end, the court ruled that obesity is an addiction, not a disability, which could have future implications. In the United States, courts are battling similar questions with regards to SSDI benefits. For many individuals, obesity is a significant impairment to joining the workforce. It can make transportation, day-to-day functioning, and job performance nearly impossible. In addition to the physical ailments associated with obesity, many patients also suffer mental conditions. Individuals who suffer from obesity may be entitled to Social Security Disability benefits. Our Boston Social Security Disability Insurance (SSDI) attorneys are experienced with helping individuals file timely and effective claims. Our priority is to accommodate your immediate and future needs, develop an effective approach, and provide the SSA with sufficient documentation of your illness and disability. Though obesity claims can pose challenges, they are not impossible. Currently the Social Security Administration (SSA) defines obesity as a chronic disease marked by excess body fat. Obesity also increases the risk of diabetes, heart disease, respiratory illness and other, dangerous medical issues. Obesity is determined by using a Body Mass Index (BMI) comparing weight to height ratios. The SSA divides obesity into Level 1, Level 2, and Level 3. Individuals in the Level 3 category suffer from morbid obesity and can be diagnosed either by using the BMI or by measuring the waist of the patient. When applying for benefits, applicants must provide a host of information beyond their weight/height ratio. All medical history and health records can be beneficial in demonstrating the need for benefits. Obesity was removed from the list of “automatic impairments” that would qualify an individual for benefits in 1999. Since then, the SSA has considered obesity in the context of total health to determine whether he or she is eligible. 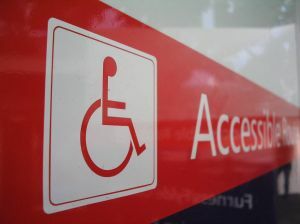 If a person is unable to walk because of obesity or if they have an intellectual disability, that applicant is more likely to be approved for benefits. The “obesity is not a disability” ruling in the European Court will be binding throughout the European Union, meaning that courts do not have to treat obese individuals as having a disability. For example, they will not be entitled to special treatment, priority parking, or specially designed furniture. In the end, the court decided that obesity is more in-line with alcoholism and addiction than it is with a disability, despite the very real physical setbacks. The SSA has not categorically decided that obesity is a disability, but recognizes it as a condition that may be accompanied by other health issues. In the context of other health issues, an individual applicant may qualify for disability benefits. Call our Boston SSDI attorneys for a free and confidential appointment at 1-888-367-2900.